In the 1950s Eddie had been starving out as one of Bill Monroe's Blue Grass Boys after Elvis hit big; Eddie's former employer, Mac Wiseman, had abandoned touring for the administrative side of the business. Bluegrass music was on life support until Eddie was persuaded to join the fledgling Country Gentlemen. With their stratospheric musicianship, synergy and brash attitude, they reinvented and reinvigorated Bluegrass. Eddie (considered by many the true father of new grass music) and Tom Gray were both members of the Gentlemen during the group's watershed creative early recording days in the 1960s. They took their exhilarating brand of bluegrass far afield into urban areas and colleges, and onto-the turntables of doctors and lawyers, leaving the overalls and hay bales behind. 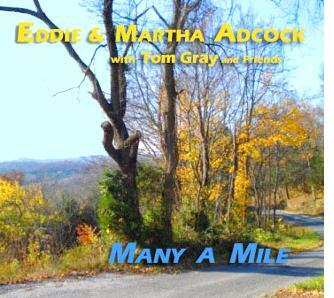 The 1970s saw Eddie, Martha, and Gene in Second Generation, a band founded by Eddie in the vanguard of progressive bluegrass; Tom was an original member of the much-loved Seldom Scene. 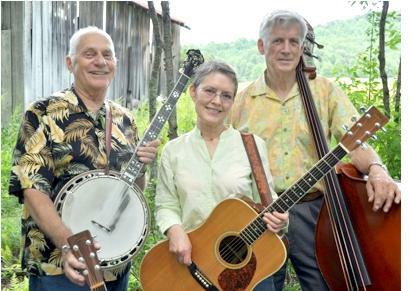 Both bands took their place in the roster of influential bluegrass groups. Missy, a wide-eyed child idolizing the Country Gentlemen and their offshoots, eventually spent 8 years with the Eddie Adcock Band and has since received a multitude of awards of her own, while Gene migrated into country music and has spent two hit-filled decades in Diamond Rio. It is well to note here that guest Pete Kuykendall was an early banjo player in, and song-finder for, the Gents, while Wes Easter has long had great appreciation and deep knowledge of the Country Gentlemen. They are to be thanked for their contributions on Many A Mile.